Last Tuesday, I attempted to do some book illustrations for a friend of a friend. The illustrations were supposed to show the struggles that women deal with each day. I spent about half the day trying to draw a woman squeezing into a pair of tight pants. It didn’t work. No matter what I did, it just looked like an angry woman with her hands on her hips, scowling for no particular reason. Finally, I e-mailed my friend and said, “I’m sorry. It’s not working. 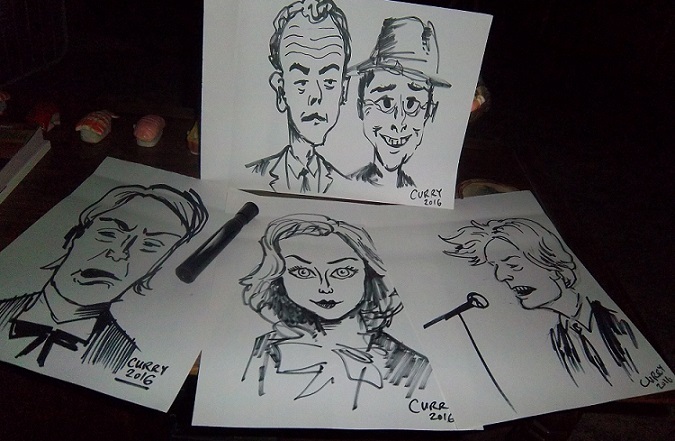 Could you get someone else to do these drawings?” She was wonderful about it. She said it was no problem at all, she could find another illustrator. I’ve spent a lot of time working with Magic Markers this year. Up until now, I was always afraid to use ink. It’s so permanent. Once you make a mark, you can’t erase it or mess with it. It’s there. Forever. But that doesn’t bother me anymore. I get a certain thrill out of it now. It’s so bold and dark and intense. I hope you’re doing well. Take care. 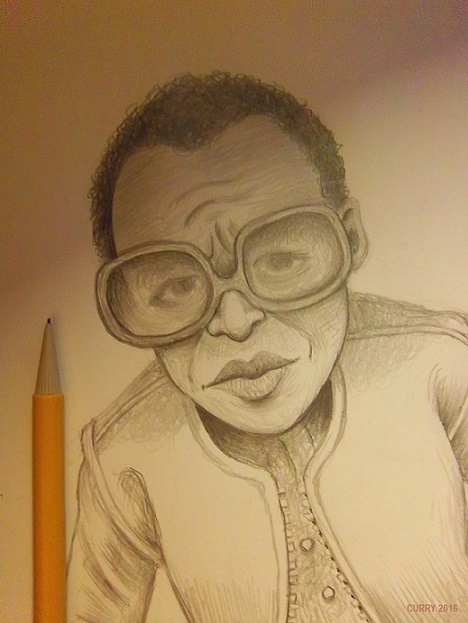 Here’s my little drawing of Miles Davis. The drawing is actually bigger than what you see in the photo, but I didn’t like the way his hands turned out. They were supposed to be clasped together with the fingers interlaced, but they ended up looking like a sloppy bird’s nest made out of old twigs. So I just cropped that part out altogether. But I’m pretty happy with the face. I loved drawing the glasses. I like the overall look of Miles Davis. Serious, intense. Anyway, I hope you’re doing well, wherever you are in the world. 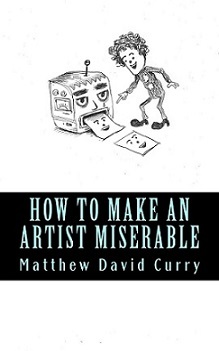 For the past four years, I’ve been writing and self-publishing books on Amazon. It’s a lot of fun, especially the last one I wrote. I loved watching the characters come to life and surprise me. I even enjoy the proofreading stage of the process …. although it’s horrendously tedious and gives me six or seven nervous breakdowns and completely destroys my social life. Somehow, that part is still fun too. It’s like solving a giant puzzle. Once the book is finished, it feels good to hold it in my hands and flip through the pages. And it’s good when people tell me they enjoyed reading it. But the whole thing is time-consuming. Every time I write a book, I neglect everything else. I forget to clean. My apartment begins to look like a crack house. My friends think I’ve forgotten them. Also, it’s hard to get people to notice these books. Every time I send a copy of my book to a critic somewhere, I feel like I’m sticking a note in a bottle and slinging it into the ocean. So I’m considering a different approach, a new strategy. I don’t plan to quit writing books, but I do think I’ll focus my energy on writing short stories and sending them to magazines. It would be less time-consuming. I could write little stories and knock them out quickly and get on with my life. And I might get more exposure that way. And maybe make better money. 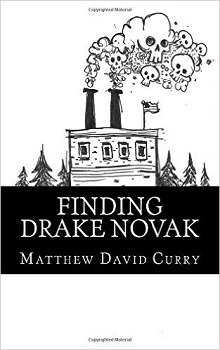 My newest book, Finding Drake Novak, actually started off as two short stories. Those stories became scenes in the first chapter of the book. This week, I gently extracted those two scenes, edited them a little bit, and turned them back into short stories. And I e-mailed them to magazines. I think I’m going to write some essays too. Funny stuff about everyday life. Observational humor. Stories about ordinary things and lessons I’ve learned and so on. Do any of you have experience with this kind of thing? Can you suggest any magazines or websites? Or newspapers? Do you have any advice about this? 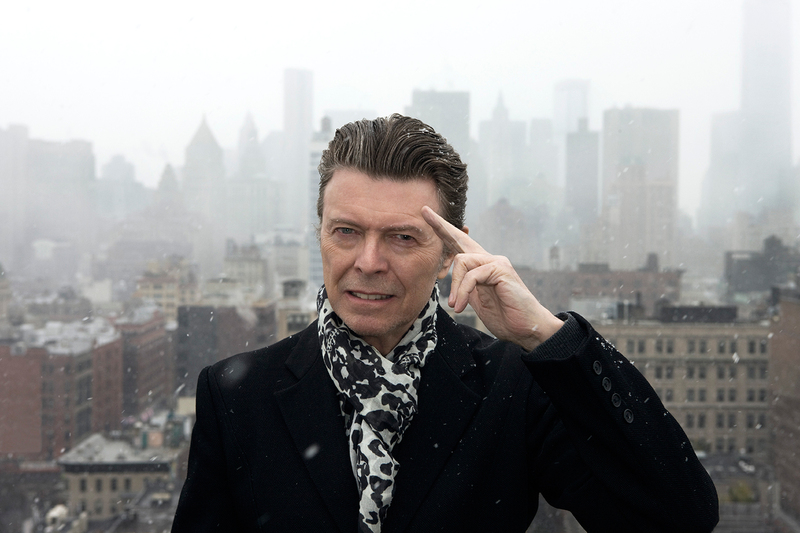 A few weeks ago, I dreamed David Bowie hadn’t really died after all. He was actually working as a night shift supervisor at the local textile mill. In the dream, I eagerly drove to the mill at sunset and found him sitting inside a dimly lit office, staring at the wall with his mouth hanging open. I sat down in front of him and handed him my copy of Blackstar. I asked him to autograph it for me. But he just held the record in his hands, gazing down at it like he’d never seen it before. He was dazed and disoriented, like an Alzheimer’s patient in a nursing home. He mumbled something about cleaning out his office and going home to die. Then I leaned forward and pointed at the record, desperately trying to get through to him. I told him it was his record, that he had made it. He smiled a little bit but didn’t say anything. He was still spaced out and detached. And that’s how the dream ended. It was disappointing and unsettling … but it was fun to talk to him for a minute. Wish he’d pop up again. I still haven’t gotten over his death. Anyway, enough of that. Sorry I haven’t blogged much lately. I got busy promoting my new book …. and then I tried to start a comic strip …. but my passion for drawing comic strips isn’t as strong as my passion for other things — like writing books and drawing portraits. I just didn’t have enough fuel inside me to keep pursuing it. Some people (like Carl D’Agostino and Mark Armstrong) have a certain zeal for cartooning. They can keep on creating them without ever getting tired. But I’m not like that. I just shrugged and tossed that stuff in a drawer. Right now, I’m scribbling down some ideas for a new book. I feel good about it. I hope you’re all doing well in your own little corners of the world, wherever you may be. I hope those of you in Florida are staying cool. And I hope you’re staying warm in Australia, Mabel.